Do you have a daughter who likes “geeky” things like computers, coding, math, or science? Doesn’t it make you happy to see her thrive and get excited when she gets to learn more and more about the subject she loves? I think that parent-educators have a bit of an edge in accomplishing this: because we spend so much time with our children, we can really get a feel for where their strengths and aptitudes lie. Right now there is a movement in education towards STEM: science, technology, engineering, and math. This is fueled by the fact that our nation’s economy (and jobs market) has a high demand for individuals who can perform jobs in these types of fields. Traditionally, these fields are dominated by males, but that is not because girls aren’t smart enough to be scientists, engineers, or mathematicians. There are many reasons why young women make up only 20% of science and engineering majors, but steps are being taken to rectify that. 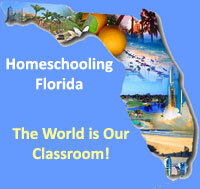 One positive step is the homeschooling movement itself. 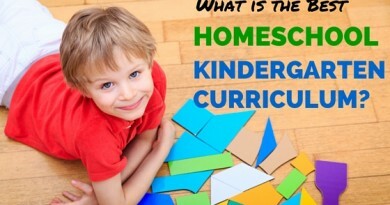 Because homeschooling is focused on the child, and not an institution, we can tailor the education to the child’s needs, abilities, and talents. I came across a video today that really inspired me to 1) check my own prejudices and preconceptions, and 2) get excited about girls having a greater presence in STEM fields. The video is a documentary called She++ (probably a take off of the computer programming language C++), and it makes a good case for why girls would not only benefit from taking a computer class or two, our society could benefit also. she++: The Documentary from Ellora Israni on Vimeo. 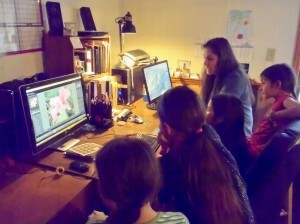 A homeschooling mother of 5, home education advocate, and former classroom teacher. She is a writer, blogger, and poet. "I just want to encourage, and be encouraged. Inspire, and be inspired. Teach a little, and learn a lot," is her approach to life.